The first time I encountered Linkin Park was a Monday night. I remember that because it was during Headbangers Ball, a two hour segment that aired on MTV the night between Monday and Tuesday, that played hard rock, metal and alternative. The song was One Step Closer and I became a fan immediately. The hybrid of musical genres and vocal styles made an excellent point of the debut album name, Hybrid Theory. What I just thought was a great alternative band would be shown to become one of the most experimental bands I’ve ever come across. Their music has always mixed styles and influences from the entire spectrum, and right from the first album it was clear that the potential was enormous. Even though they were stereotyped as, what in my circle of acquaintances was called, “angry white boys” and memes composed of angsty, crying teens with captions such as “I’m gonna go listen to Linkin Park” mocked them and their fans, they were always there with new and interesting music. Reanimation, where they took the songs from the first album and not only remixed them but totally restructured them together with artists such as KoRn’s Jonathan Davis and Stephen Richards from Taproot, is still a part of my list of Top 5 Albums Ever. The song Frgt/10, together with one of my favorite voices Chali 2na of Jurassic 5, is one of my favorite tracks of all time. Looking back, after the fact, many of the lyrics that Chester wrote and performed have turned quite haunting. The titular track from the latest album, One More Light, which is about the lost of a friend was bumped up to replace the song Heavy on their performance on Jimmy Kimmel Live! as a tribute to the loss of their peer and friend Chris Cornell, the singer and frontman of Soundgarden and Audioslave. But listening back to the lyrics of songs such as Breaking The Habit, Shadow Of The Day, and Crawling gives me chills. The constellation of the band including Mike Shinoda, Mr. Hahn, and Chester Bennington has long been something I wished to see in person during my lifetime, but it never came to be. I always thought there would be time. Now that time has passed and I missed my opportunity as recently as a festival a few hours away that took place this summer. 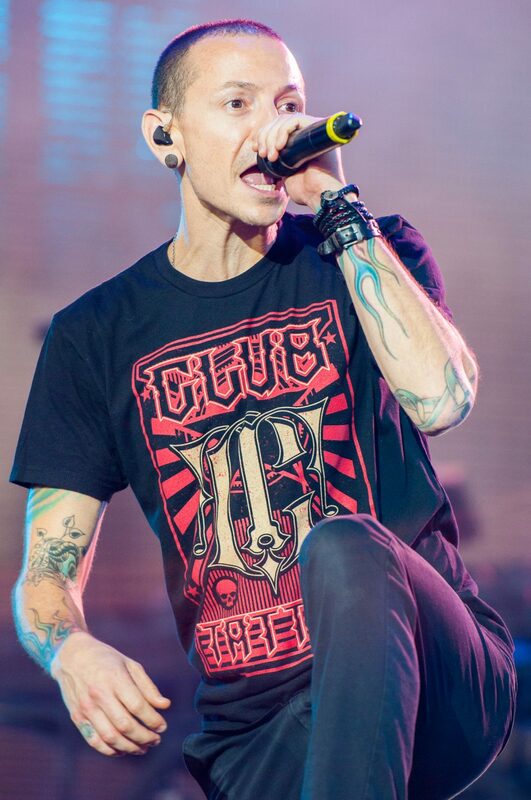 Rest in peace, Chester Bennington. Thank you for the music that you gave us and the inspiration you brought me. You will be sincerely missed.